Question: Do you think that novelists can write about what they don’t know? This morning I received an email soliciting funds from NaNoWriMo. NaNoWriMo was an annual writing challenge that took place every November. As it’s popularity has grown, it’s created NaNoWriMo, Camp NaNoWriMo and other annual, Internet-based creative writing contests that takes place throughout the year. The challenge is to a novel (50,000 words is the minimum length of a novel( between a scheduled start date and end date. The winner (anyone who writes the minimum number of words) gets an internet badge they can put on their website or facebook page or whatever. I have several on my site here, as I have often participated, supported, and won the challenges. Now, normally, I’d jump in, send them off the $10 they’re requesting, and be on my way. I might buy a t-shirt or a mug or some other knick knack that I didn’t need while I was there. But, if you look at my recent wins, I’ve stopped supporting NaNoWriMo, and I’ve stopped participating in the contests. I firmly believe that writing is a creative vocation. NaNoWriMo bills itself as something that encourages writers. As such it should simply do that: encourage writers. And that’s it. It should be religiously and politically neutral. Let the writer be religious. Let the writer be political. At the end of the day, that’s their path to follow. And that’s where they lost me. There’s no Presidential executive order banning refuges – that’s a patently false statement. And there’s no call at all for NaNoWriMo to interject politics into an endeavor that supposedly nurtures creativity. So buh-bye NaNoWriMo. You became just another political organization that despises creativity and deals only in stupidty on February 10, 2017. Enjoy your ignorant, hate-filled, America-loathing lives up there in Berzerkeley, California. Writers don’t need the likes of you. 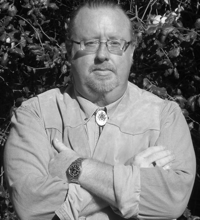 Shawn E. Bell is an American author, screenwriter, publisher, naturalist, and media god currently living in Southern California. Copyright © Shawn E. Bell, all rights reserved. Unauthorized use or copying of material without express and written permission from Shawn E. Bell is prohibited. Any images from third-parties used by permission, all copyright and trademark references or images remain the property of the original owners. Fair Use excerpts are welcome; please be kind and link back to the original material at shawnebell.com. No animals were harmed in the creation of this copyright notice.